Every building in Tampa Bay should have a functional ADA ramp that permits access to those with mobility challenges. The Americans with Disabilities Act (ADA) mandates businesses and public buildings in the state of Florida and across the United States provide access to the handicapped. 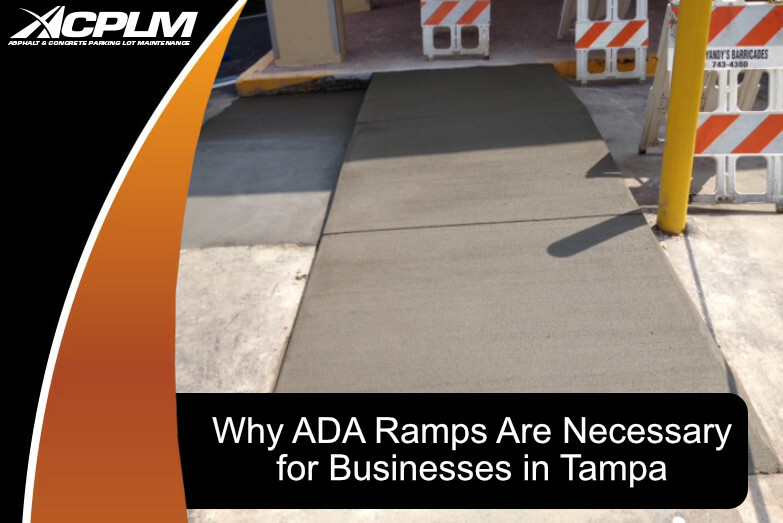 Most Tampa Bay businesses are required to have a ramp. Nearly every business and other service providers in the greater Tampa Bay area will benefit from a ramp. It ensures compliance with the law, enhances access to the facility, and improves the reputation of the organization. Aside from Tampa Bay businesses, examples of other organizations that need a ramp include educational institutions, libraries, churches etc. The ramp will enhance visitor access and permit the movement of traffic into and out of the building. The spirit of the ADA is to ensure those with disabilities are provided with the same level of access to services, businesses, public facilities, and so on. Those who use wheelchairs, crutches, canes, or simply find it difficult to ascend stairs will visit your Tampa facility that much more frequently after the installation of a ramp. As long as your property has enough space, an ADA ramp can be added to allow access for those who have mobility challenges. It is vital to choose experienced professionals to install ramps. There are a number of requirements each ramp must meet in order to satisfy ADA requirements. As an example, ADA ramp requirements mandate a specific ramp slope ratio and a flat, unobstructed space at the bottom and top of the ramp. Handrails must be on both sides and can’t rise more than 6”. Intermediate landings between runs have to be a minimum of 60” in width and 60” long where the ramp changes direction. These are just some of the details that we pay close attention to in order to make sure your ramp is fully compliant. Reach out to us today to schedule an initial consultation where we can answer your questions, tell you more about ADA ramps and coordinate an installation. You can contact us by phone at 888-959-9637.